Our inspirartion for floral design comes from our clients, their style, interests and personalities. We love the chanceto interpret their visions into a flawlessly perfect representation of them. 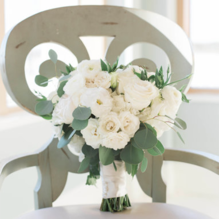 When you choose us, you do not have to worry about a middleman translating your vision.We spend time getting to know your likes and dislikes and that, in turn, gives us the advantage over other florists who can only assist with florals. We are a full service design company and can assist in every aspect of your decor from florals, to the right color lighting, the perfect shade of linen sand every detail. Draping can dramatically change the look of your event space. To enhance the appearance of drab or imperfect walls, let us decoratively drape your venue for as pectacular, full impact transformation. Lighting is one of the most dramatic ways to transform a space but often goes overlooked. By carefully selecting the type and the colors, lighting can add warmth, romance, and energy to your event. Our team of award-winning designers will help your choose the right lighting to enhance your existing décor and to create a harmonious ambiance. Whether in a remote meadow, on a coastal cliff, or in a lavish banquet hall, our talented lighting technicians can enhance any venue with the magic of illumination. We're committed to helping you transform your event space from ordinary to extraordinary by incorporating sophisticated furnishings. Lounge furnishings, farm tables, specialty chairs, lighted tables, vintage pieces and more. Whether you're looking for a stand alone piece or planning multiple lounge areas to infuse at your next event, we'll work with you on a design that's unique, exquisite, and designed to impress all who attend! We specialize in providing beautiful and cutting edge Wedding and Event Linens and Chair Treatments to meet any style and event decor. Our goal is to create a meaningful event that reflects your personality and style. Reach out to us and tell us about your event! We would love to put you at ease with the design process. After you contact us, we’ll set up a consultation at a time that’s convenient for you. Consultations can be done in person a tour design studio or over the phone if you are out of state. We'll ask you some questions to get a sense of your personality, style, and vision for your event. We will work with you to determine color, style, and varieties of flowers that will perfectly complement and reflect your vision, venue, and the season. After our meeting or consultation, we’ll send you a customized proposal. This is simply an overview of the style of your event and a summary of the details that we discussed in our meeting. It will describe the overall style, include inspiration pictures, list the floral pieces needed, and an estimate for the overall cost. 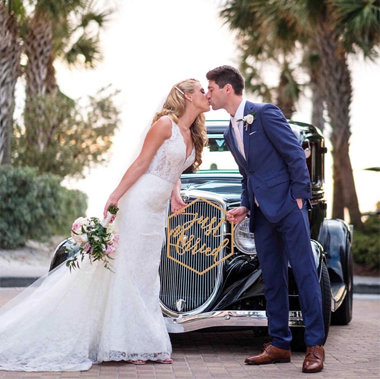 To move forward with booking Artistry Designs for your wedding, we require a signed contract and a deposit to reserve your date. After you've book with us, we can further refine your floral and decor order as needed. 4-6 weeks before your wedding, we will finalize the details and a timeline will be finalized. Your final payment will be due 4 weeks before your event date. On the day of your event, our team will arrive to set-up your florals & décor in combination with your other vendors’ schedules. Because of all of the planning we’ve done together beforehand, you can be rest assured that everything will be taken care of. Because of our quality of work, popularity, and artistry, we are in high demand and our calendar fills quickly. We strongly suggest that you reach out to us at least nine to twelve months in advance. This will help us get in touch with you right away regarding availability for your date, and it will allow us to send you pertinent information on the services we offer.